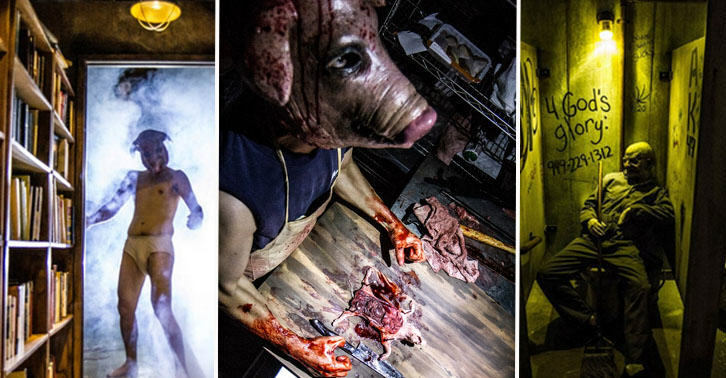 If repeatedly watching the Saw or Hostel films has left you feeling numb or overconfident as to your fear threshold, this may well be the trip for you. 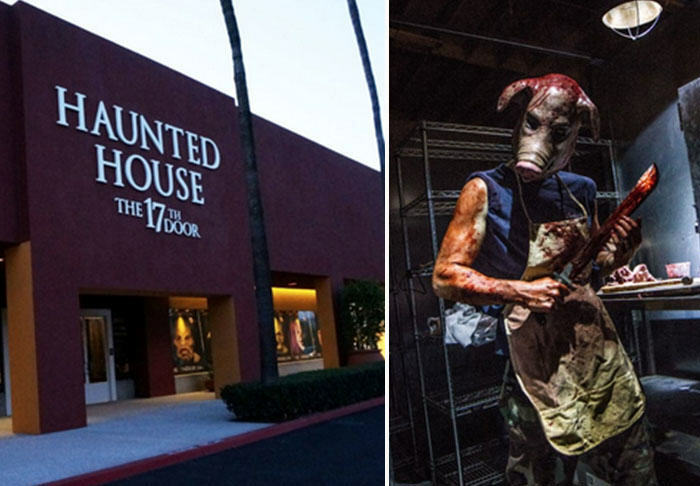 The 17th Door in Tustin, California, is allegedly so scary that before you enter you have to sign a waiver acknowledging you understand the risk and the venue is not liable for anything that may happen to you. That is either the greatest ploy to set people on edge before they enter, or a very disturbing reality. Either way it seems to have the same effect. The whole place is based on the nightmares of a fictitious college teen named Paula, and it looks hellish to say the least. If you think you are prepared to enter Paula’s world, then know this: everything inside this realm, which assaults your senses, is real. All you’ll feel on your flesh, the heat and the freezing chill, is real. The putrid odor that invades your nose from the stench of her rotting life is real. Know that when you walk into the frozen locker and are surrounded by the carcasses of her demons, what hangs from those hooks is real. And when you linger in her dorm room, what scurries under your feet and along the walls is real. The question is: can you make it? Actors will grab you, touch you, fall from the ceiling with other objects, and you are likely to get wet. That is just a few of the warnings listed online. The hosts are so concerned that people may want to escape the piss inducing 32 minute experience that they have issued a safe-word of ‘mercy’. Scream that and you will be freed early. You won’t, however, be getting a refund. On the site’s FAQs it is stated that they are paid to scare you, and if you want to leave early you have had value for money. They looked like genuine dead piglets. I’m out.